This story was updated Monday, April 15, 2019, at 6:42 p.m. with more information. United Auto Workers Local 42 in Chattanooga wants to disclaim a 2015 vote that created a unit of maintenance workers at the Volkswagen plant in order to clear the way for a new election of employees. 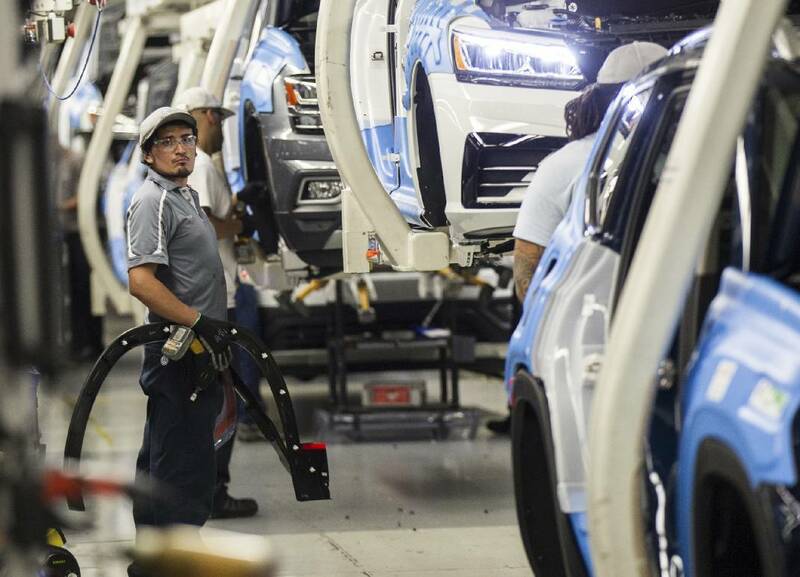 However, Volkswagen has countered by seeking to block the UAW's latest proposal filed Monday, saying there are issues pending before the National Labor Relations Board on which the panel hasn't yet ruled relating to the vote more than three years ago. Local 42 President Steve Cochran said the UAW's latest move would enable a speedy election for all production and maintenance workers and avoid a lengthy NLRB hearing in Chattanooga slated for Wednesday. The union local filed paperwork before the NLRB on Monday to disclaim the maintenance-only unit and withdraw earlier charges of unfair bargaining against VW, which has refused to recognize Local 42. "Volkswagen said they have opposed bargaining because they want to bargain with all maintenance and production workers and that is what we have done," said Cochran in a statement. "Chattanooga workers deserve to have the same rights as every VW worker in the world. So we are breaking the legal stalemate. Let Chattanooga workers vote." The Chattanooga maintenance workers won an election in 2015 by a margin of 108-44. But VW appealed and refused to bargain, stating it believed the production workers needed to be included. Since then the case has sat before the courts and the NLRB. Last week, some VW plant workers petitioned the NLRB for a new election of all maintenance and production workers for later this month. "Let Chattanooga workers be treated like every other VW worker," said Cochran. "This action clears the way to do exactly what VW wanted. When the dust settles Chattanooga workers will have the right to sit and bargain, not make suggestions. Why should Chattanooga workers be treated any differently?" But VW on Monday brought an emergency motion before the NLRB seeking to dismiss the UAW's latest filing. "The [UAW's] petition would only be appropriate if the board had not certified the unit or if it had already disposed of the prior petition," VW said in its filing. Volkswagen attorneys said that had there not been a maintenance-only unit already certified, then there would be no obstacle to processing the UAW's petition. But, the attorneys said, proceeding with an election before the board has resolved the unfair labor practice case before it "serves no purpose and would be contrary to the principles underlying the National Labor Relations Act." Last week, some plant workers filed the petition with the NLRB for a new vote, saying they wanted all 1,700 production and maintenance workers at the plant to vote. That petition is currently before the NLRB. Volkswagen has said it will "remain neutral" on the issue of the election. Such a vote would the third union election at the plant since 2014. In February 2014, the union lost by 712 to 626 in a vote that included all production and skilled trades employees.